HTC's new phone has not disappointed, selling better than the two previous company flagships and surpassing expected demand. The Taiwanese manufacturer hopes that the handset's popularity, along with the continued success of its Vive VR platform, will reverse its financial fortunes in the coming year. 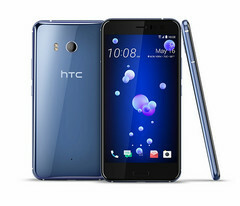 A report from Focus Taiwan quotes an HTC executive as stating that the HTC U11 has "delivered strong sales" since its release last month. The U11 launched to generally favorable reviews, which emphasized its appeal to users of all types and lauded its "squeezable" and gesture-responsive sides. Chang Chia-lin, president of HTC's smartphone and connected device division, revealed that the U11 has sold better than both last year's HTC 10 and the older One M9, the company's previous flagships. This is good news for HTC, which over the years has lost ground as one of the premier Android smartphone manufacturers to names ranging in renown from Samsung to OnePlus. Chia-lin also acknowledged her company's inability to fulfill the strong global demand for the U11. According to her, HTC should be able to fulfill that demand in July, at the earliest. Another HTC executive, Chairwoman Cher Wang, assured shareholders at a recent meeting that the company will produce "satisfactory financial results" next year. The remark comes after HTC posted a disappointing net loss of about US $349 million for 2016. Surely the company is banking on the continued success of its new flagship to improve its fortunes. HTC is also relying on its VR platform to bring in much-needed money. According to Wang, the HTC Vive virtual reality headset "is regarded as the best product in the global VR market" and as a result HTC scores the highest percentage of VR revenues worldwide. Finally, HTC says that it will refocus its research-and-development arm to prepare for the switch to 5G, the next generation of mobile networks, before its launch in 2020.